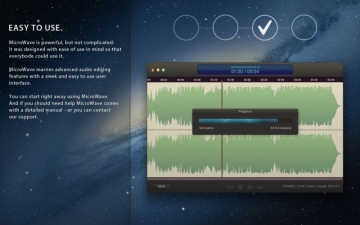 [値下げ] MicroWave - Audio Editor and Recorder | Mac App Storeのアプリ検索・ランキング BuzzMac! 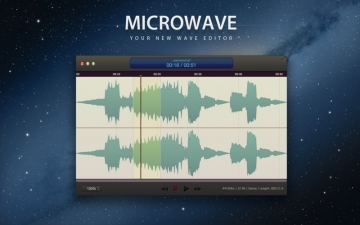 MicroWave is an indispensable multitool for working with audio. 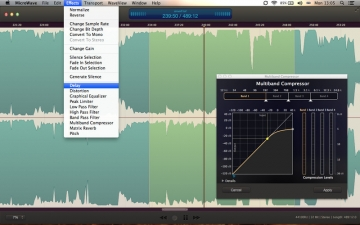 Whenever you need to trim a few seconds off a music file, record your thoughts, split an audio file into many smaller ones, make a voice note, record an internet radio station* or digitize old tapes - MicroWave is there to help. It's a tool as essential as a text editor. 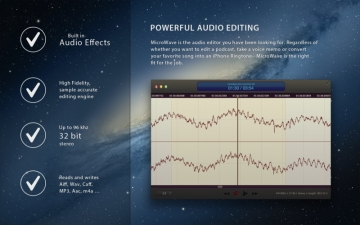 And because it's that useful no Mac should miss it. • Persistent marker support with automatic silence detection. 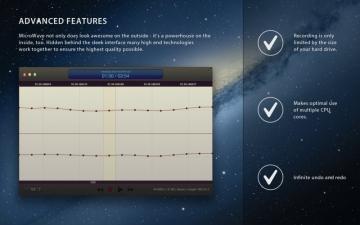 • Batch export: Splits document into multiple audio files based on markers.